We want all of our customers to receive the full benefit of PedalSnake. This is why we recommend PedalSnake's Option Two: The Low Voltage Method for those who have standard discrete (non-board-mounted) power supplies. You will run only one cable, with no AC power cord to run. But we highly recommend the ultimage method, which is now the state-of-the-art for powering effects pedals. 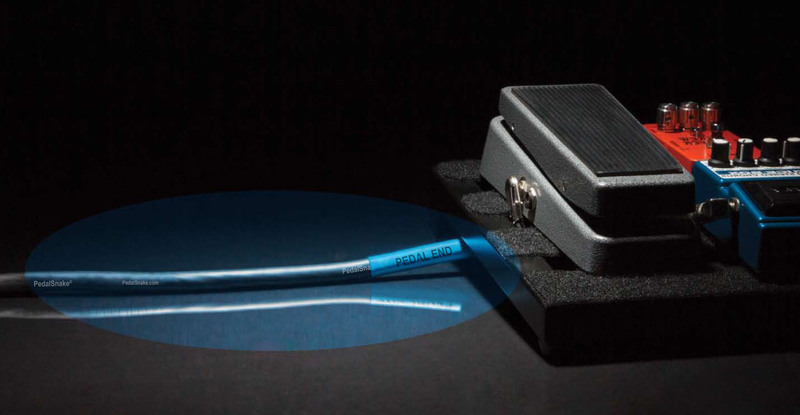 The PedalSnake-Strymon 24V Method employs the quietest power supplies, and places nothing but quiet DC voltage (24V) near your pedals. If you want to keep your AC-powered, board-mounted power supply for now, no problem. You can always upgrade to a One Cable "no AC power cord" method at a later time. This is part of the beauty of PedalSnake's configurable design. It is lifetime investment that changes easily whenever you wish to change. But when you do upgrade to the Low Voltage Method, you will see the magic, and never go back.